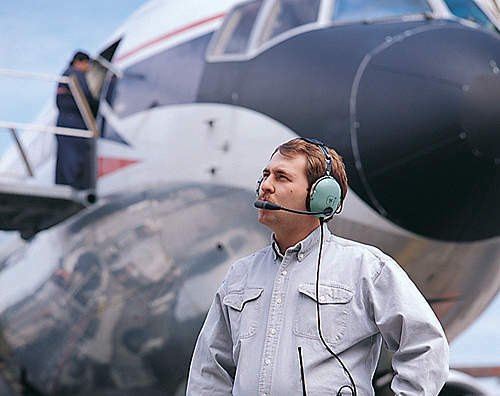 David Clark Company provides headset communication solutions and hearing protection for a wide variety of ground support and MRO applications. 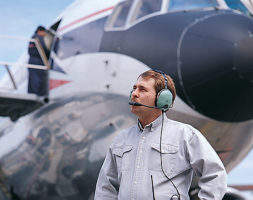 David Clark’s wired and wireless headset systems are presently used worldwide by airlines during pushback, de-icing, maintenance, as well as numerous other ground support operations where communication and safety is critical. David Clark Company ground support communication systems are made in the US and have a proven track record for durability and reliable performance to protect people and save lives, while helping airlines avoid costly incidents that may run in the hundreds of thousands of dollars. The Series 9900 wireless headset communication system provides maximum freedom and mobility as well as clear communication for a variety of ground support applications. Crew members move about freely and easily without being tethered to the aircraft or a headset station; communication is clear and safety is dramatically improved. Series 9900 wireless communication systems are ideal for tug operators, deicing operations, wing walkers, marshalling agents, maintenance mechanics and a host of additional ground support personnel. A variety of headset styles, including over-the-head, behind-the-head, single-ear and muff-type let users choose the perfect model to fit their application needs and personal comfort preferences. Reliable components, including wireless gateways and belt stations provide rugged durability and ease of motion. Wireless systems are compatible for use with existing David Clark Company wired intercom systems and with most HF, VHF and UHF radios. Push back gateways provide a seamless connection to aircraft interphone via an adapter cord included with each gateway. The gateways offer hands-free, full-duplex intercom for up to 4 headsets with belt stations per gateway (range: 300′ line-of-sight). ateways act as a relay for all audio between belt stations and existing wired intercom. Multiple gateways can work independently within the same RF vicinity with no cross-talk. Gateways come with an orange, rubberized protective skin for high visibility on the tarmac, as well as a “Remove Before Flight” banner, hook / lanyard. Series 9900 Belt Stations eliminate extraneous ramp noise from critical communications and connect directly to headsets with an adapter cord provided. Belt stations transmit and receive all system audio to and from the gateway and the user’s headset. Both VOX and Non-VOX models are available. 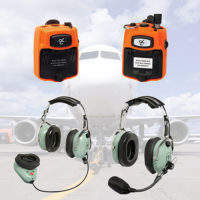 David Clark Company headsets are designed to withstand the rigors of the ground support environment, while providing outstanding comfort, reliability and communication clarity. David Clark Company Series wired ground support communication system for pushback and maintenance operations consists of Series 3000 noise attenuating headsets (including the popular H3530 over-the-head model, and muff microphone styles), belt stations in varying lengths with push-to-talk (PTT) switches and a variety of extension cords also in varying lengths. David Clark Company’s Series 3800 de-icing systems require noise attenuating headsets (single ear style for the cab operator and dual over the headset style for the bucket operator), a 3800 master station and a remote U3801 headset station, along with the necessary power cord and jumper cords in varying lengths. All of the system headsets and components are designed to withstand rugged use in the harshest environments to ensure reliable performance. For many years major airlines have used and relied upon David Clark ground support equipment for their communication needs. David Clark Company has always been and always will be dedicated to the development of products calling for unsurpassed excellence in quality, design and performance. We are dedicated to continuing this tradition with our existing product lines and all future products. David Clark Company has launched a new website highlighting its products and systems for ramp and maintenance communications. David Clark Company's 9900 Wireless Ground Support Products ensure clear, precise communications between the tug operator, cockpit personnel and wing walkers during push back operations. During ground operations it is important to make sure that everyone involved understands their instructions clearly. The David Clark Company Series 9900 Wireless Intercom System provides aircraft deicing personnel with the ability to communicate clearly in extreme noise and weather conditions. Drivers, bucket operators and other personnel can communicate hands-free during critical deicing operations. 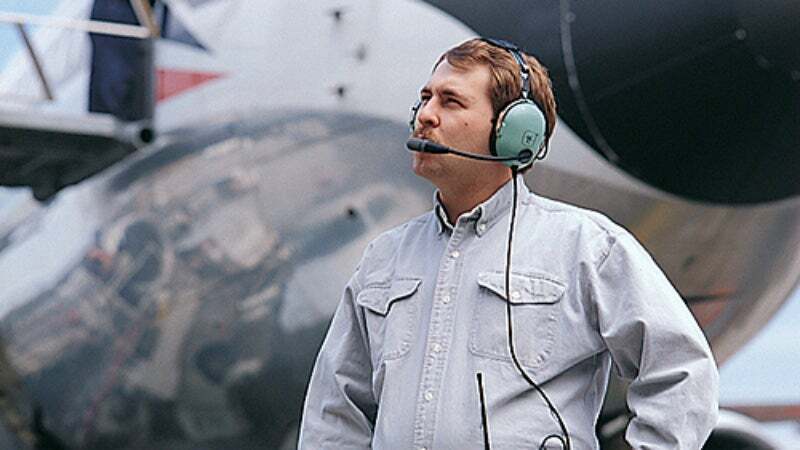 David Clark Series 9900 Wireless Headset Communication Systems provide maximum mobility allowing maintenance technicians the freedom to move about, without being tethered to the aircraft or related equipment during maintenance operations. 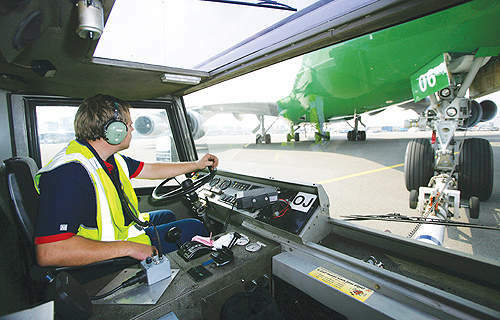 David Clark Company's Series 9900 wireless ground-support products ensure clear, precise communications between the tug operator, cockpit personnel and wing walkers during push back operations. 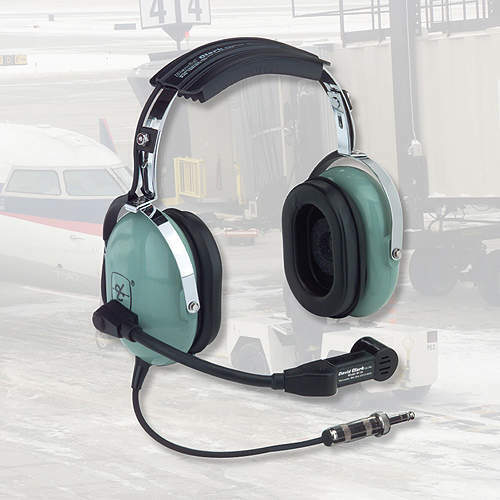 The David Clark Company series 9900 wireless intercom system provides aircraft deicing personnel with the ability to communicate clearly in extreme noise and weather conditions. David Clark Company, Worcester, MA, recently introduced its 9900 Series wireless headset communication system for airline / airport ground support applications. The system provides ground support personnel the added mobility to move about the ramp area and communicate freely without being tethered to aircraft.